This recipe comes right from ” Weight Watcher’s“. It is so easy and so good! Chocolate lovers will get their fix from this one! In a large mixing bowl, combine the softened chocolate yogurt with the chopped cherries. Transfer to the Oreo crust. Cover and freeze for several hours or until firm. Cut pie into wedges and top each with 1 T. Cool Whip. 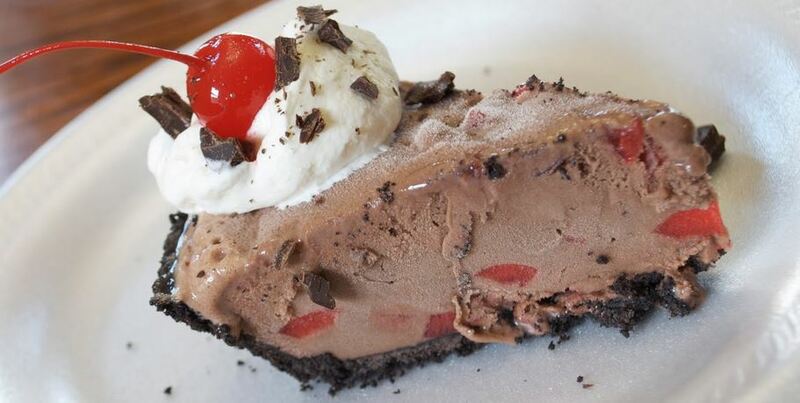 Garnish with chocolate and cherries.